Nothing is as enjoyable as a warming gas fireplace on a cold winter evening. We assume the glass doors on the fireplace will protect us from possible injury and fires. It is unusual, but glass fireplace doors do fail, and they fail for various reasons. If there is a gas fireplace in your home, it is important to be aware of the risk of the glass doors shattering and what can cause them to shatter. Glass fireplace doors protect us from the fire if they are safe. A code-compliant gas fireplace utilizes standard tempered glass to meet the required heat, mechanical strength and safety requirements. Fireplace tempered glass is heat resistant to 400-500 degrees. Tempered glass is "float" glass whose thermal and shock characteristics have been modified through heat treatment. It is stronger and exhibits breaking patterns that are less dangerous if it does shatter. As safe as it is, there are circumstances where tempered glass will shatter. If the glass is not tempered properly, it will be more prone to shattering under stress. Proper tempering of glass is a time-consuming process. Some manufacturers are less conscientious than others. Accelerating the manufacturing process can lower the production costs and improve profitability. Poor tempering may also cause the glass to shatter in a way that often results in larger, more dangerous shards of glass. Gas fireplaces certified by UL are designed for gas only. The tempered glass in these fireplaces is designed for the temperatures associated with gas fire. Burning anything other than gas in a gas fireplace is dangerous. 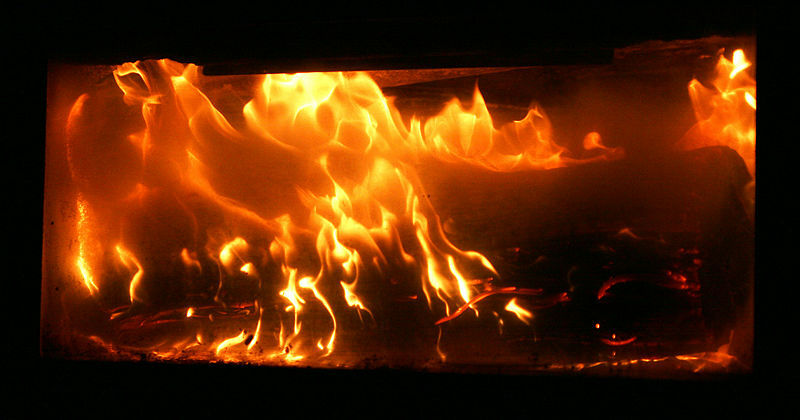 Avoid using fuels such as wood, cardboard boxes and paper in a gas fireplace because they generate higher temperatures than gas. The excessive heat can cause the glass to shatter. Improperly handled or installed glass can suffer nicks and cracks along the edges. According to Glassonweb.com, "Careless handling and improper installation sometimes produce damage, which leads to 'spontaneous breakage' or 'delayed breakage.'" This is more typical with glass that has been installed improperly but can happen with defective glass directly from the manufacturer. It is not unusual for glass with these latent defects to shatter weeks or even months later. If the fireplace glass is not tempered glass, the heat of the fireplace will cause thermal expansion and the glass will crack. The cracks will be long, running cracks as opposed to the small, cubed appearance of shattered tempered glass. 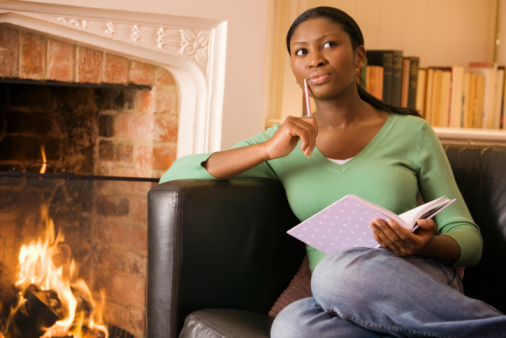 This situation arises when the fireplace has been repaired by an inexperienced technician. New fireplaces are highly unlikely to have this problem.